This vacancy has now been filled, but you can still find other available roles here. Based in our Peterhead depot, the role of Delivery Driver is a busy and productive role. You will be driving a 3.5 ton flatbed van, delivering hire equipment around the local area. This role is vital to our operation, you will be the face of our business and a representation of our vision, mission and values. 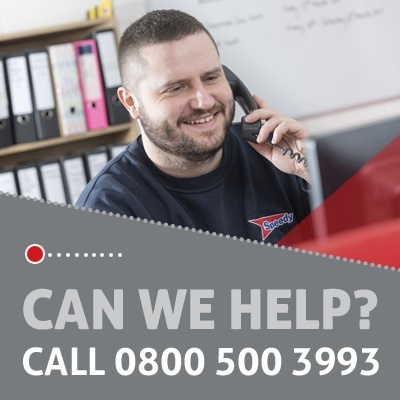 As a Delivery Driver you’ll be the front line of our customer interaction, ensuring their every need is catered for and every question answered. You will be joining the team at an exciting time, helping to continue our growth and delivering first class customer service. Delivery Driver’s within Speedy ensure equipment is dispatched and delivered at the right time to the right place, resolve any queries or issues the customer may have where possible to increase sales from the customer. Our drivers are helpful, professional and understand that the customer is at the heart of everything we do.